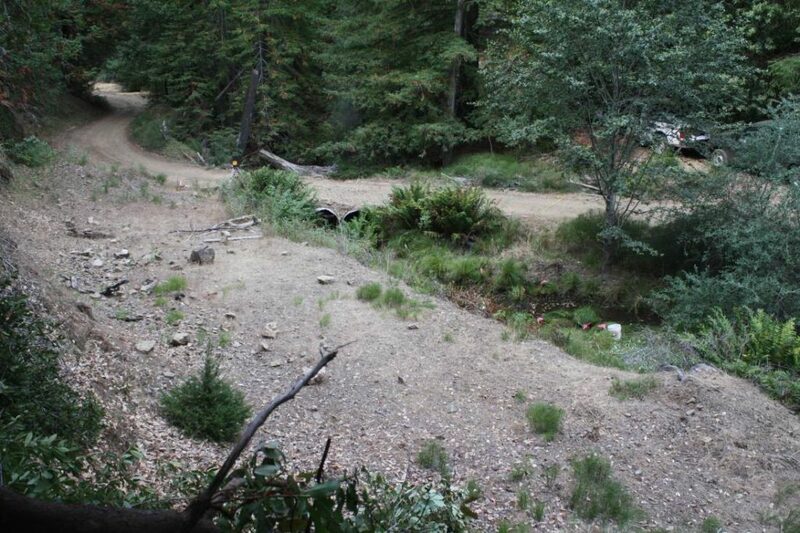 The MCRCD partnered with landowners in the upper Garcia River watershed to assess sediment sources from rural roads and completed 13 miles of road upgrades and improvements on 170 sites to meet Total Maximum Daily Load (TMDL) regulatory requirements. The project will prevent more than 17,000 cubic yards of sediment from entering salmon-bearing streams and bring over 75% of the watershed into TMDL compliance. Funding for the project came from the USDA NRCS Cooperative Conservation Planning Initiative and the State Water Resources Control Board. Before – View from upstream bank, looking downstream at a Class I crossing on Monahan Creek. The crossing had two 48” diameter culverts installed in the fill. The culvert capacity was undersized for 100-year recurrence interval storm flow and the culverts had completely rusted through. After – Same view as above, one year after implementation. 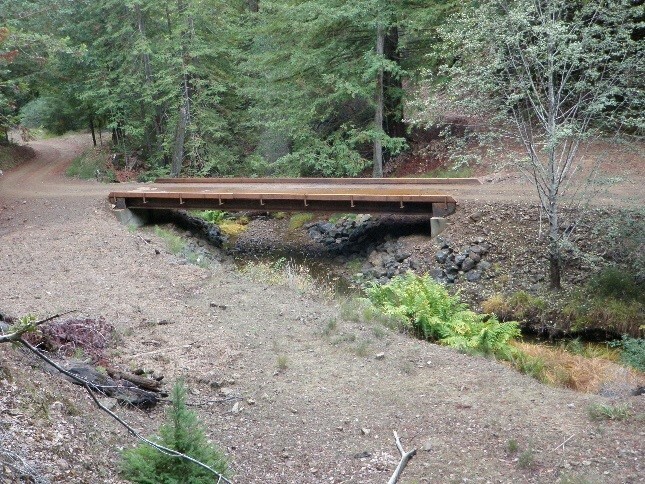 The preexisting culverts and all crossing fill was removed from the crossing and a 48 foot long bridge was installed. The natural channel width and gradient was maintained through the crossing. The banks at the bridge abutments were armored with riprap to prevent erosion from flow scour.